It’s early on a Tuesday morning. A month ago at this time, I was pulling muffins out of the oven and steaming milk for lattes at the cafe where I worked for five a half years. Today, I’m reading over the recently approved statement of goals for the M.Div. program at Pittsburgh Theological Seminary in preparation for two meetings I’ll have this morning. It’s all a part of my new job. I am excited to be taking on the challenge of coordinating the Church Planting Emphasis at Pittsburgh Theological Seminary. The seminary feels like home to me. Conversations with students and faculty bring joy to my heart. I see great potential in this program, and am both humbled and delighted to participate in something that has such power to shape the future of the Church. But I am truly going to miss the cafe. When my co-pastor and I answered God’s call to plant The Upper Room five and a half years ago, we chose to become bivocational pastors. Like the Apostle Paul, who had a trade of making tents which at times supported his ministry, we chose to take second jobs that would both ease the financial burden of starting a new church and give us additional ways to build relationships for our ministries. I wanted a job in the neighborhood which would allow me to meet people I wouldn’t meet inside the walls of a typical church. 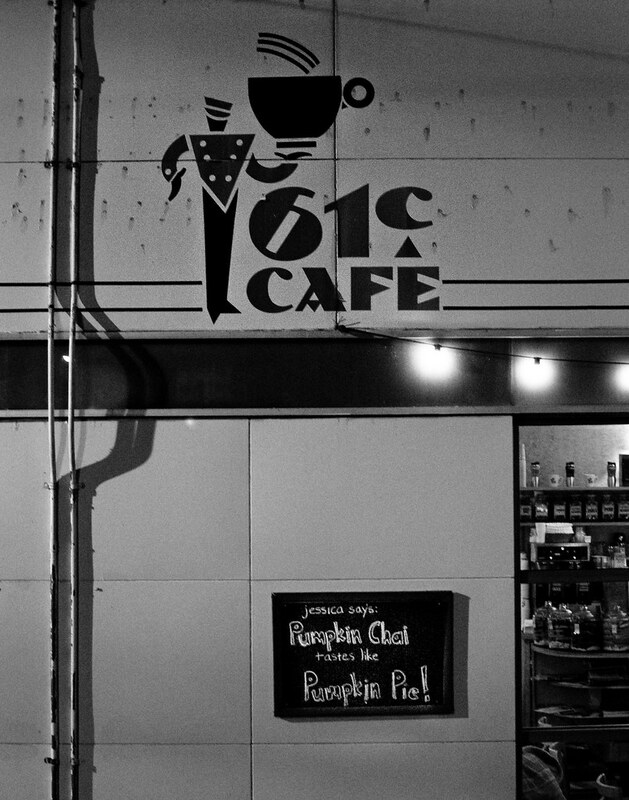 The 61C and 61B Cafes gave me more opportunities to develop meaningful relationships than I could have ever imagined. Over five and a half years, these relationships became so strong that stepping back from them now brings about a genuine feeling of grief. On my last morning of work, I cried as I handed my keys back to my manager and friend Keith. Then I sobbed as I sat in my car, preparing to go directly from the cafe to the seminary. This is week three of my work at the seminary, and it’s going quite well, but I don’t want to forget the things God showed me over my years at the cafe. So I hope to do some writing here in the coming months which will intentionally reflect on the things the Lord taught me through my work at the cafe. After my trip to Brazil next week – where PTS students and I will study how the Brazilian Presbyterian Church plants new congregations – I’ll put together a series of posts here about what my ministry at the cafe taught me about prayer, relationships, mission, and work. Especially work. It seems that many of us have under-developed theologies of work, and God used my years in the cafe to teach me much about the purpose and value of our daily labors. Time to get ready for work. If I hurry, I might be able to grab a cup of coffee on the way. “So, how’s your book going?”, asked a member of my church today. “It’s not,” I said with a smile. She was referring to this project which I happily announced here over a year ago. Last fall I wrote an introduction and two chapters. I outlined other portions and compiled a list of books I wanted to study to inform my writing. A group from my church met with me multiple times to read what I’d written, offering quite helpful encouragement and feedback. Then our daughter was born. Having a baby turned my life upside down in many ways, including obliterating the time I had to write. There are these things we call priorities. Learning to care for our daughter without question had to take priority over side-project of writing for which I had grand plans. For months I felt torn, wanting to complete this project I’d started, while at the same time recognizing that I no longer had the free space in life to write that much on top of co-pastoring a church, working a part-time job, and loving my family. Peace has come, though, as I’ve accepted this as an opportunity to grow in patience and humility. Like marriage, parenthood is full of opportunities to cultivate such virtues, if we are willing to receive such opportunities as gifts for our sanctification. The tongue is a small part of the body, but it makes great boasts (James 3:5). My tongue boasted of wanting to write a book. I still do. I’ve just realized that it will take years – not months – for me to write this particular book. That’s not to say I haven’t been writing. I just completed an extended personal essay for the House of St. Michael. (If you leave your contact information in the form below, I can try to get you a copy. )* I’ve also had another totally different writing project under consideration with a publisher. I may still seek publication for Practicing the Truth, but I’m in no rush. To my surprise, God has given me a blessed amount of patience and indifference about these projects. If they work out, may God be glorified. If they don’t, may God still be glorified. I think that in this I’m tasting the spirit of Psalm 131:1-2: “My heart is not proud, Lord, my eyes are not haughty; / I do not concern myself with great matters or things too wonderful for me.” The Lord has been humbling me recently, making me realizing that I can’t always give all I want to give, accomplish all I want to accomplish, or please everyone I want to please. Simply knowing that makes me a bit less frantic. A bit. I’m a long way from being able to continue with the Psalmist in saying, “I have calmed and quieted myself / I am like a weaned child with its mother, / like a weaned child, I am content.” The words calm and quiet do not always describe my inner being. But I want them to. And I believe the Psalmist who says such peace only comes with a heart that’s not proud. And with that humility comes an ever-expanding freedom to trust that God is the one who completes what God began in us. As Paul says in Philippians 1:6, it is “God who began a good work” in us and “will carry it on to completion until the day of Christ Jesus.” It’s the hope of Psalm 57:2, which says, “I cry to God Most High, to God who fulfills his purpose for me.” Amen. May God fulfill his purposes for me, whenever and however He chooses. *If you’d like to receive a print copy of “So That Your Hearts Will Not Be Weighed Down”, please leave your name, email address, and mailing address below. This week’s guest post is from Rachel Luckenbill, another close friend and a member of The Upper Room. While Jen wrote last week about the challenge of becoming a mother, Rachel’s post is about the challenge of losing her mother. The annual House of St. Michael Devotional Conference, which she mentions, will happen again this Friday and Saturday (details available here). About the author: Rachel Luckenbill lives in Pittsburgh and is beginning her dissertation on contemporary American literature and Christianity at Duquesne University. She blogs about her Pittsburgh experiences at rachelluckenbill.blogspot.com. She likes being around people, taking minutes at church meetings, eating the desserts her boyfriend bakes, and playing piano. She tries to spend as much time as she can hanging out with Chris’s and Eileen’s dog Bruiser. He’s such a good dog. I am a person who expresses herself best and most often with written words. But for the past year since the death of my mother on January 7, 2012, I have had no words to write. My heart and mind have been full of experiences, full of images and moments which I will never forget. I have longed to release them onto paper or the computer screen so that I can give them new life – speaking them into community, so that I can make room for new growth inside of me, so that I never forget the work that God has done as He led me through facing my deepest fear. Finally, a few days over one year since her passing, words are beginning to trickle in. With these brief paragraphs, I hope to begin a practice of using words (some public/some private) to record, to listen to, to grieve, and to treasure the memories and transformative moments of Mom’s last year of life and of my first year without her. I begin with two moments both of which occurred in the first week after her passing and for both of which I heartily praise God. The first occurred the morning of January 8, the day after she died, as I stood, emotionally and physically exhausted, in a Sunday morning worship service with some of my dearest friends in Lebanon, PA. I felt utterly full of power. I’ve never experienced the Holy Spirit that tangibly before that moment. The Spirit was literally not just sustaining but was coursing through me, overflowing my heart with a truly inexplicable joy – the kind that can only be felt in the midst of the deepest sadness. And I knew this power while surrounded by people who had journeyed with me through the darkest of years and who knew the depths to which Jesus had been transforming my heart. I would never want to re-create the circumstances that prompted the Spirit’s striking internal takeover – Mom’s passing marked the culmination of, for her, six years of struggle with cancer and dementia, and, for me, six years of care-taking and slowly losing the person whom I loved most dearly. But if I ever again experience that evident, close, exhilarating, and sure knowledge of the Spirit’s presence, I will rejoice. Just less than one week after Mom’s passing and the shock and the preparations and the services and the relatives and the friends, I returned to Pittsburgh where I live. I had planned to attend the House of St. Michael Devotional Conference on January 14 and 15. The grief was strong, the emotions were still at the surface, and the physical exhaustion was ever present. But that sustaining power, while it changed in degree of intensity, remained. I remember choosing to go to the conference in spite of the freshness of the grief because I knew that I would be surrounded by dear friends, brothers and sisters in Christ, and space to feel, to hear, to rest, to simply be. I spent much of my time at the conference nestled on the floor in the midst of a room full of old and new friends, wrapped in a blanket, made still by grief but lifted up by music and meditation, my mother’s Bible open in front of me – her handwriting in the margins and my own tears marking the pages. As the conference closed, a woman named Lisa whom I did not know well at the time but am now grateful that I can call her friend, crossed the room and took me in her arms allowing her own warmth and presence to offer the comfort for which words were inadequate. Power, comfort, sustenance: I have known these things through the welling up of the Spirit inside and through the external embrace of the Spirit in the arms of a spiritual sister. Writing in January . . .
A post which I wrote a few weeks ago for Antler is now available: Writing in the Wake. It’s about integrating my writing with my faith and ministry, and describes the way our community is helping me write Practicing the Truth. I’m working on a review of the new book The Life of the Body by Valerie Hess and Lane Arnold, which I hope to share within a week or two. This month I’ll also have a few guest posts here, starting with a post from my friend Jen Pelling about the ways having a child turns life upside-down, just like the way Jesus does. And someday there will be a post announcing our child’s birth, followed later by reflections on how my life is being turned upside-down this month, as well. Stay tuned. 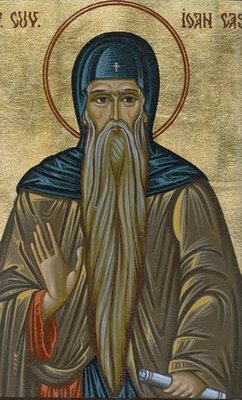 A post about the lessons I’ve learned from St. Mark the Ascetic which should post later this month on the Conversations Journal Blog. A post about integrating faith and writing as a pastor which may show up later this month at the blog of the creative writing ministry Antler. The stats below were sent to me a couple days ago by WordPress. For a blog where I share a hodge-podge of theological questions, church news, book reviews, and notes from my personal life, it seems to get fair traffic (5,000 views per year). Based on feedback I get in Facebook, it seems most of my friends read my newer posts there, rather that on the blog itself. Which means that what gets attention here are posts which show up people’s searches. This is why only two of the 5 most-visited posts in 2010 were actually written in 2010. And this is entertaining: a search for “sadness” regularly brings people to this blog. Perhaps that means I’ll write on those regularly searched-for topics more in 2011. The environment, spiritual disciplines, and scripture, I mean. Not sadness. A Boeing 747-400 passenger jet can hold 416 passengers. This blog was viewed about 5,000 times in 2010. That’s about 12 full 747s. In 2010, there were 38 new posts, growing the total archive of this blog to 210 posts. There were 14 pictures uploaded, taking up a total of 1mb. That’s about a picture per month. The busiest day of the year was April 18th with 61 views. The most popular post that day was Heaven and Nature Sing: Creation Care and Spiritual Disciplines. The top referring sites in 2010 were pghupperroom.com, facebook.com, introvertedchurch.com, twitter.com, and ancientchristianfaith.blogspot.com. Some visitors came searching, mostly for sadness, dominion over creation, genesis 1 dominion, bright, and working for jesus.